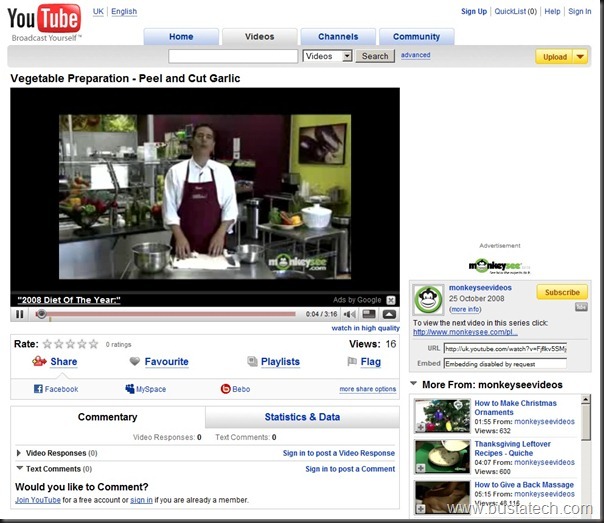 YouTube in 2007 was remarkably different to the YouTube of today. The ink was still yet to dry on the Google takeover contract, and the term ‘YouTube Celebrity’ was yet to be bandied about – the likes of PewDiePie, JonTron, Markiplier and others were still to make their debuts. Even Minecraft – a game synonymous with the site – remained a twinkle in Notch’s eye. As for the current gaming scene, the Wii and Nintendo DS were flying off shelves, Activision had just hit the jackpot with Call of Duty 4: Modern Warfare, and both the PS2 and GameCube were still alive, albeit merely surviving on a diet of terrible movie/cartoon tie-ins. It was around this time that publishers started investing more time and money in glitzy trailers for their big-budget current-gen releases, believing a lavishly produced trailer would have more of an impact on pre-orders than a playable demo. See also: the death of the humble magazine demo disc. Soon, we noticed an increase in game trailers in our inbox, mixed in with the usual press releases and such. Sometimes these trailers would even be directly attached to the e-mail, despite weighing in at over 100MB. Usually, though, they’d be attached as a WinZip file – still common practice. WordPress – Games Asylum’s backend – had a 99MB upload limit at the time, and so we set-up a YouTube channel to host trailers, development diaries, in-game footage, and other tidbits the PR companies were filling our inbox with. These were then embedded in previews and news pieces, with leftovers used for a weekly trailer round-up. The PR people we dealt with at the time didn’t seem to object to us uploading these assets to YouTube. In fact, they were thankful for the coverage. 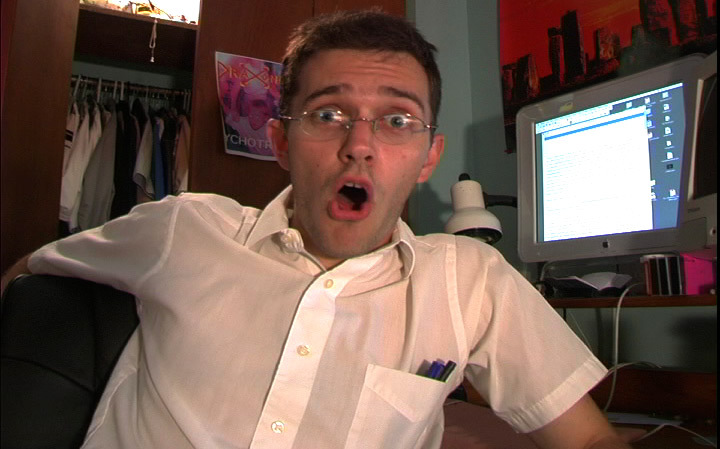 Now seems a good time to point out that we never made a single penny from our YouTube venture. We did see a slight increase in traffic via links in descriptions, and publishers seemed to be more forthcoming with review code, but these were the only notable benefits. We should also note that we weren’t generating our own content, aside a couple of videos taken during a vacation to Tokyo. Over the space of a year or so the channel amassed around 3k subscribers. The video count stood at around 300 trailers and gameplay clips, most of which had around ten thousand views. There were a few unexpected ‘big hitters’ too. 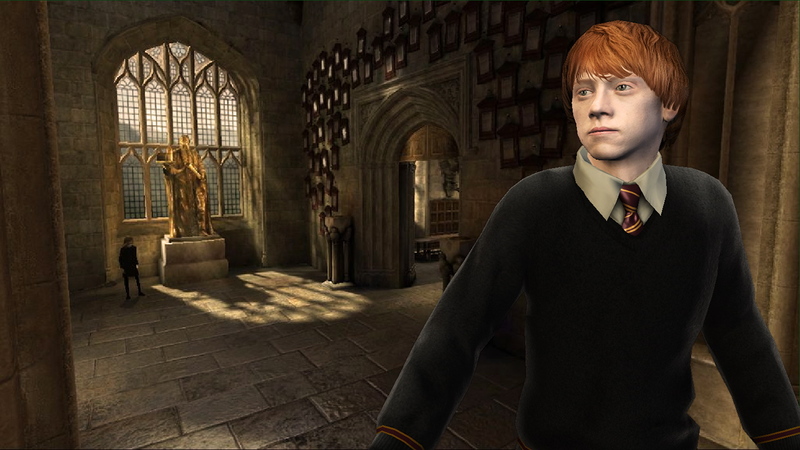 The trailer for EA’s Harry Potter: The Order of the Phoenix tie-in had surpassed a million views, and a few others were fast approaching 500k. EA often claimed ownership of trailers we uploaded. To elaborate, we’d simply receive an automated e-mail stating EA had claimed copyright and that we had permission to use their trailer on our channel. ‘Status: allowed’ was the term used. Any video claimed by EA would now feature adverts from EA games, however. YouTube was primarily viewed on desktops at the time, as opposed to mobile devices – the iPhone 3G was still a year away – and so these adverts took the form of banners for the likes of the then-upcoming Mass Effect 2, MySims, et al. We were fine with this, of course. These videos belonged to their respective publishers. Then one day something happened that made us question as to whether we were indeed infringing copyright. Warner Bros. had successfully managed to have the trailer for the 2005 movie tie-in The Chronicles of Narnia: The Lion, the Witch and the Wardrobe pulled from our channel. This was due to copyright violation, and the automated e-mail from YouTube stated that if we continue to upload copyrighted material, then our channel will be evaluated and possibly taken down. If you’re a wrestling fan, there’s a good chance you could be a thirteen year old boy. Coincidentally, THQ’s WWE SmackDown! series has been dominating the wrestling videogame scene for just over thirteen years. So THQ’s WWE games could be all you’ve ever known, virtual wrestling-wise, if you are indeed thirteen. So what will become of the WWE games, now that THQ are bankrupt and Take-Two have acquired the WWE license? Update: Between the writing and publication of this article, Take-Two announced WWE ’14 for release later this year, developed by current WWE developer Yuke’s. Some fans may see it as a chance for change, hoping a new developer takes the reins, as critics have raised concerns about the series growing somewhat stale over the last… ooh, ten years or so. Annual WWE releases now fall in the same category as the annual FIFAs and Maddens of the world. So let’s forget about that for a while, and look back at THQ’s WWE legacy. The home consoles did very well for themselves last week, with dozens of new renditions of big name franchises making an appearance. This week it’s the DS and 3DS that get to shine. 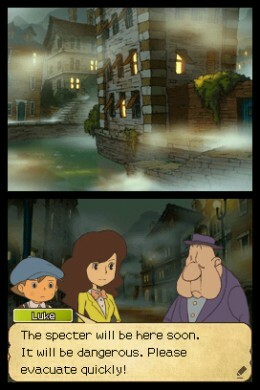 Professor Layton and the Spectre’s Call is this winter’s big DS offering from Nintendo. Us Europeans however aren’t quite getting the full package – Nintendo has removed a reportedly 100+ hour RPG mode that was present in the US version. Nintendo explained that if they were to translate it into the half-a-dozen European languages that there are then they wouldn’t have been able to release it this year. Even without it though reviews have been strong. NGamer gave it 83% although they did suggest playing the other ones first if you haven’t as Spectre’s Call explains Professor Layton’s beginnings. Doctor Lautrec and The Forgotten Knights is a very similar offering from Konami, out on 3DS this week. NGamer said it does an awful lot, but it fails to do any of it well. It walked away with a 56% review score. NGamer also reviewed Sonic Generations on 3DS. Not quite as good as the console version, it would seem, but still very good. They dished out 79% calling it “good-looking and fan-pleasing”. The 3DS also sees the releases of Frogger 3D, Imagine Fashion Designer, Horrid Henry: The Good, The Bad and The Bugly, Happy Feet Two, F1 2011, Cooking Mama 4, James Noir’s Hollywood Crimes, Mahjong 3DS: Warriors of the Emperor and Namco’s RPG Tales of the Abyss. We’d wager that out of those F1 2011, Cooking Mama 4 and Tales of the Abyss are worth a look. We did though play the demo of Happy Feet Two on Xbox 360 and it wasn’t quite as terrible as we feared. 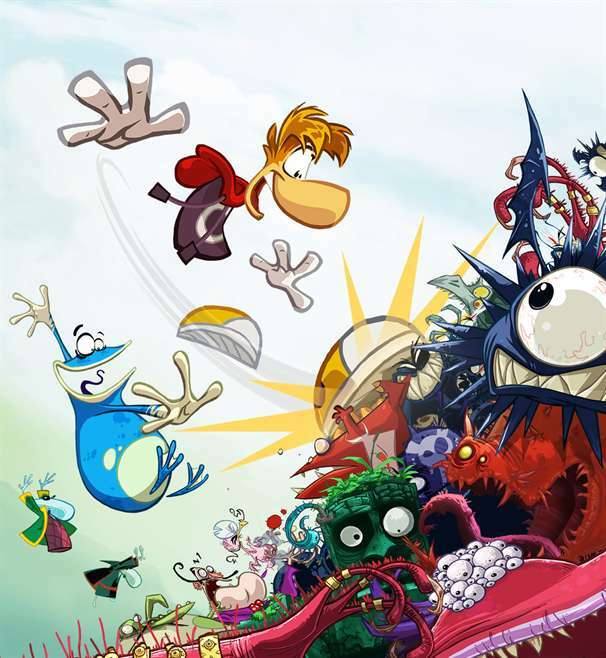 But should you buy it over the glorious looking Rayman Origins? No, of course not. It’s out on PlayStation 3, Xbox 360 and Wii this week with reviews mostly 8s and 9s. Try the demo if you’re curious – it has a generous amount of levels to explore. WWE ’12 and The Lord of the Rings: War in the North are this week’s other big console releases. WWE ’12 was given a lot of love from IGN: “What THQ has done here serves its audience spectacularly. WWE ’12 retains and improves upon the already-great presentation of its predecessors, capturing a likeness of wrestling that is uncanny. And it plays just as well as it looks. This should be considered a milestone for the wrestling simulation genre. It’s certainly a much-needed breath of fresh air.” They handed it a 9.0. Games Radar was also positive about it smacking an 8 down. Just like the two above, King of Fighters XIII – out on PlayStation 3 and Xbox 360 – is an acquired taste. 360 Gamer magazine reviewed it this month and gave it an 8. The Official Xbox Magazine said it may be a overwhelming for new fans and gave it 8.5. Last week the world received Dreamworks Super Star Kartz; this week we get Ben 10 Galactic Racing. 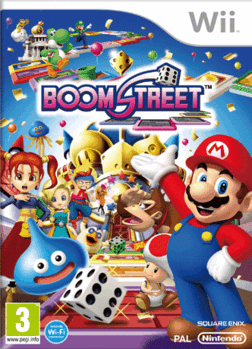 The DS version scored 51% in NGamer. “Galactic Racing is alright” they said. It’s probably safe to assume that quote goes for the PlayStation 3, Xbox 360 and Wii versions too. Winter Stars, out on PlayStation 3, Xbox 360 and Wii, has been designed for use with the PS Move, Kinect and Balance Board respectively. The Official Xbox Magazine US liked the fact it has a story mode linking all the events together, and said that the career mode is lengthy. They gave the pretty snowscapes a thumbs up too. Then there’s Puma After Hours Athletes for PS Move. It’s not about what two people do when they love each other very much, but rather a collection of ‘late night’ sporting events. Darts, bowling and pool, to be precise. Like most PS Move games, it’s available online for a purse pleasing price. Next week: Mario Kart 7 (3DS), Puss in Boots (PS3, 360, Wii, DS), Ace Combat: Assault Horizon – Legacy (3DS), Super Pokémon Rumble (3DS), Order Up!! (3DS), Just Dance 3 (PS3) , Power Rangers Samurai (Wii, DS) and a load of Square-Enix’s PSP RPGs being released on the PSP Essentials range. Microsoft starts wheeling out their big Christmas games this week, with Forza 3 and Lips: Number One Hits hitting shelves. Forza 3 got a 9 on Eurogamer, even though they said that the difficulty level was a bit bumpy and that the damage modeling looks a bit naff. GamesRadar though seemed to think that it was near perfect, awarding it a 10. Fans of big sweaty angry men will no doubt want the new WEE, Sorry, WWE game – WWE SmackDown vs Raw 2010. GamesRadar reviewed all three versions, and you should probably take the scores with a pinch of salt – the Xbox 360 and PlayStation 3 scored 9, the Wii version an 8 and the DS version a 7. Asda are doing the console versions for £25, according to the internet. Boarderlands, which keeps on being unfairly compared to Fallout 3, has mostly been getting 8s. It has RPG elements, but it’s more of a shooter. I’m willing to bet it’ll sell more copies on Xbox 360 than it does on PlayStation 3. There’s also Pro Evolution Soccer 2010, which isn’t quite as good as FIFA this year. How times have changed. If you still fancy a kick about though, Asda are also doing this one at a reduced price of £27-odd for a limited time. Another new release bargain is Sony’s EyePet and Camera for £24.99 at HMV. It’s a virtual pet thing, if you hadn’t guessed. Next week: Tekken 6, Grand Theft Auto: Episodes from Liberty City, DJ Hero, Wii Fit Plus, Ju-On The Grudge and Agarest: Generations of War.